Though the same algorithm has been in place for a few years now, experts say that this would play a vital role in the upcoming Lok Sabha elections. HYDERABAD: Voters, be wary: not only is ‘Big Brother’ watching you, but they also know how to get through to you. This election season, targeted advertisements on social media may not be the only expedient that political parties could employ to get through to voters; data experts claim that a larger part of the campaigning would be steered using social media algorithms that also make sure political posts generated by fan pages or by one’s contacts on a particular platform reach users in a targeted manner. Though the same algorithm has been in place for a few years now, experts say that this would play a vital role in the upcoming Lok Sabha elections. 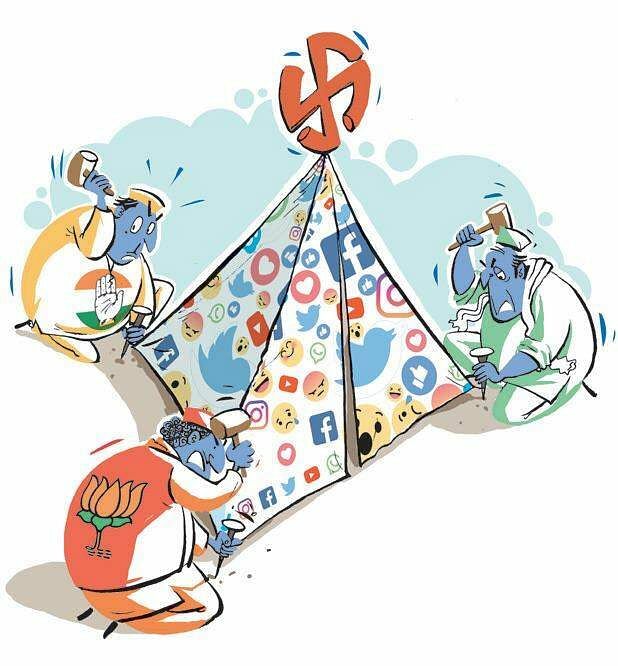 As parties gear up to expand their social media penetration in the State, it is to be expected that they would showcase a side of theirs that a voter might most likely consume, and in turn, ‘manipulate the latter’s consent’. However, what makes this entire process more worrisome than it already is that the Election Commission of India has not been able to put a stop to this sort of mass manipulation done using technology. This is because, the money trail left by running multiple third-party pages that are deployed for generating one-sided content, need not be subjected to scrutiny of the EC. Further, Kiran Chandra said: “The problem is going to be especially grave in Telangana because the State Resident Data Hub’s information about people’s identity and biometrics was jumbled with the EPIC data in the year 2015. So technically, the incumbent government knows which voter benefits from what scheme and what their socio-demographic identities could be. This, if misused, could be used both online and offline to create targeted content for campaigning.” In other words, a voter linked to anything more than their name and address is a target for manipulation.